Having recently received a congratulatory letter of welcome from Karen Jewett, Vice President of Government and Community Affairs at Columbia University, Harlem resident and classical actress Debra Ann Byrd, has become a four-time fellow, scholar and artist-in-residence; not just locally, but nationally, and internationally as well. In the span of just one year, Ms. Byrd, has been named Writer-in-Residence at The Shakespeare Birthplace Trust in Stratford-upon-Avon, Warwickshire, UK; the 2018-2019 Artist-in-Residence at the Southwest Shakespeare Company in Arizona; a 2018-2019 Folger Shakespeare Fellow and Artist-in-Residence at The Folger Institute in Washington DC; and now one of five fellows chosen for Cohort VI in Columbia University’s Community Scholars Program. One might ask, “What is it that makes this artist so celebrated at this time?” Well, friends and colleagues would say, ‘It is, most probably, her love for community and her past decade of leadership and creative innovation with a focus on equity and social justice; coupled with the excitement of her newest endeavor, BECOMING OTHELLO: A Black Girl’s Journey, a three-year, international, writing, research and performance project’. All four of the prestigious organizations though different, with varied missions, have chosen to get behind Debra Ann and her special project in the form of residencies and/or fellowships. They, together and individually understand that access to social capital, networks, and funding can make or break the potential of an emerging story teller and social entrepreneur, who wants to realize their vision for change. And BECOMING OTHELLO: A Black Girl’s Journey, according to its creator, seeks to be just that, ‘a visionary-social-entertaining tool for change’. The Community Scholars Program at Columbia University is designed to offer independent, community-based scholars from Northern Manhattan access to a suite of Columbia University services and resources that allow them to work toward the completion of a particular project or to attain skill in a particular area. 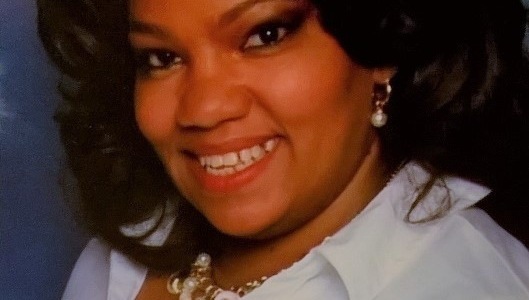 Ms. Byrd was chosen by the Columbia Community Scholars Advisory Committee as one of only five members of the community chosen for this year's Cohort. Sincere congratulations were offered by the Advisory Committee and Karen Jewett, Vice President, Office of Government and Community Affairs. “We are continually impressed with the courage and creativity of Debra Ann. She has proven to be a person who is committed to bringing positive change to the world, and now more than ever we must invest in her ideas and let her soar.” noted Mary Way, President, Southwest Shakespeare Company. BECOMING OTHELLO is a three-year project. Debra Ann is currently a Fellow at the Folger Shakespeare Library and will begin scholarship at Columbia University in September. Readers should be sure to be on the lookout for future notices of workshops, sneak-peaks and staged readings of this special, upcoming, Harlem-made project: BECOMING OTHELLO: A Black Girl’s Journey. ABOUT DEBRA ANN BYRD | Debra Ann Byrd is an award winning, Afro-Latina, fifth generation Harlem resident who recently won an Outstanding Achievement Award from AUDELCO for her portrayal of the title character in the all-female multiracial mainstage production of Shakespeare’s OTHELLO: The Moor of Venice. This celebrated actor, producer, arts manager, and business leader is the founder and Producing Artistic Director of Take Wing And Soar Productions and the Harlem Shakespeare Festival, where she has guided the company's growth from its birth as the passionate dream of one determined woman, into a viable support organization serving classically trained artists of color and theater arts groups throughout New York. Her classical roles for the stage include; Marc Antony in the all-female production of Julius Caesar, Mary-Queen of Scots in Schiller's Mary Stuart, Queen Elizabeth in Shakespeare's Richard III, The Choragos in Antigone, Mrs. Malaprop in The Rivals, Volumnia in Coriolanus, Winter in Love’s Labors Lost, Hippolyta in A Midsummer Night’s Dream, Cleopatra in Antony & Cleopatra, Othello in The Tragedy of Othello: The Moor of Venice and Lady Bracknell in The Importance of Being Earnest; the latter, for which she received Best Lead Actress and Outstanding Actress in a Lead Role nominations from AUDELCO and the NY Innovative Theatre Awards. Debra Ann received a Bachelor of Fine Arts degree in Acting from Marymount Manhattan College, did advanced studies at the Public Theater’s Shakespeare Lab and Shakespeare & Company, completed producer training at the Commercial Theatre Institute and received additional training from the Arts Leadership Institute, a unique Leadership Training Program for Arts Managers at Teacher’s College/Columbia University. She is a member of Actor's Equity Association, the League of Professional Theatre Women, The Shakespeare Guild, the British Shakespeare Association, The National Arts Club and the Mid –Manhattan Branch of the NAACP. 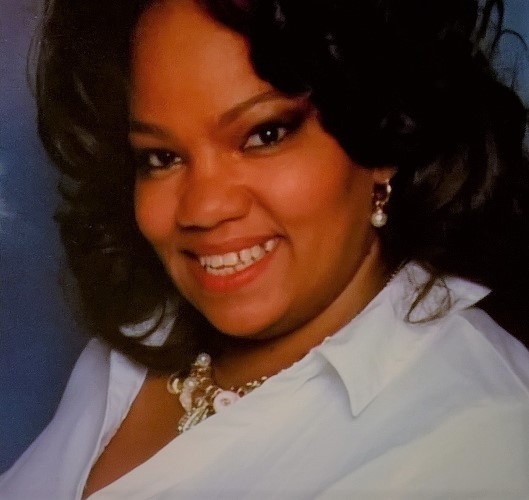 As a community Leader, Ms. Byrd was recently elected to the Manhattan Democratic Party County Committee and currently serves on the Executive Committee of the Shakespeare Theatre Association.